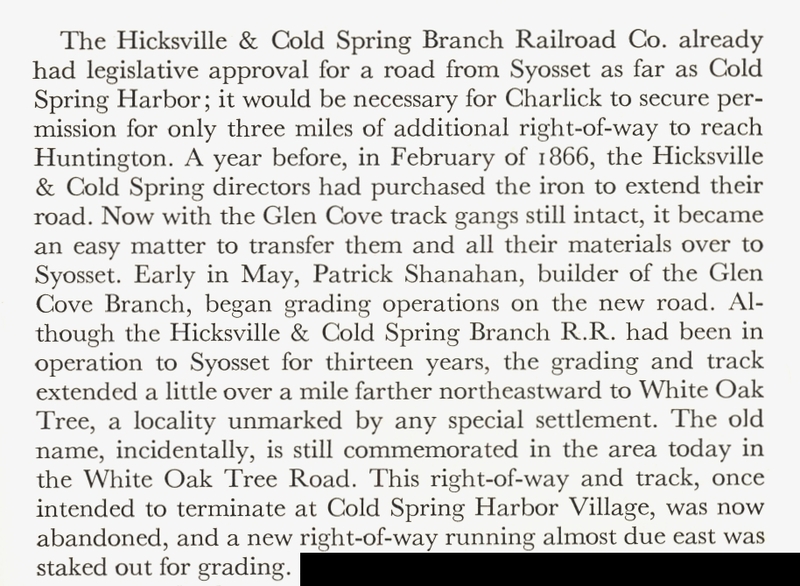 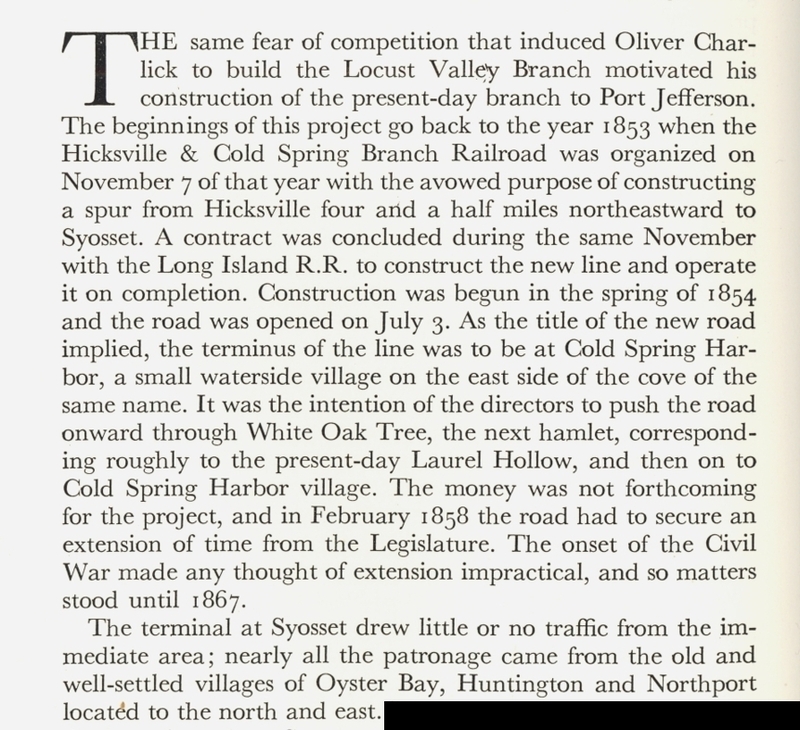 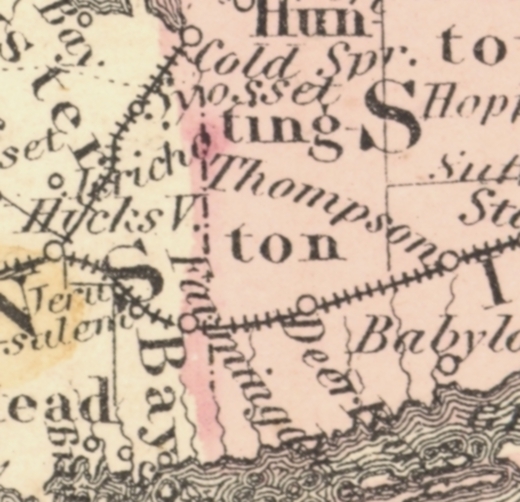 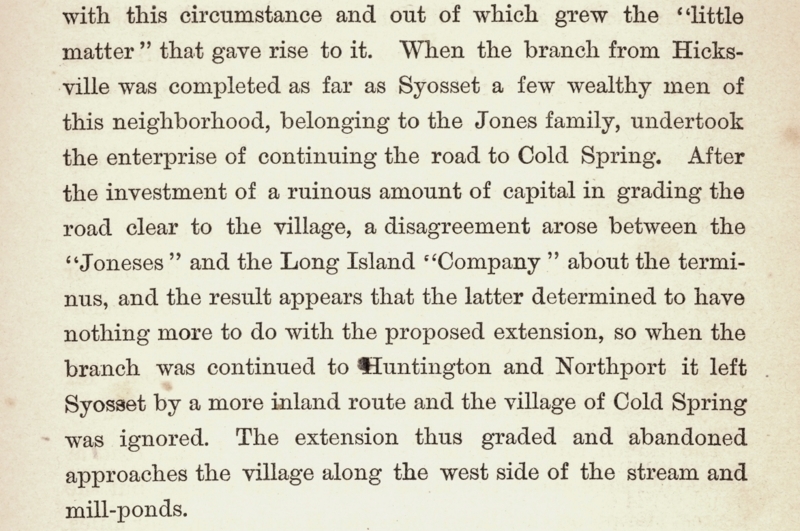 NOVEMBER 7, 1853, OPENED JULY 3, 1854 HICKSVILLE TO SYOSSET. 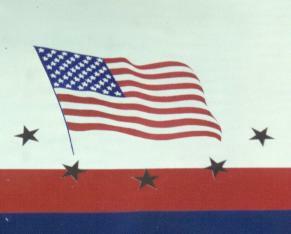 H. & C.S.B.R.R. 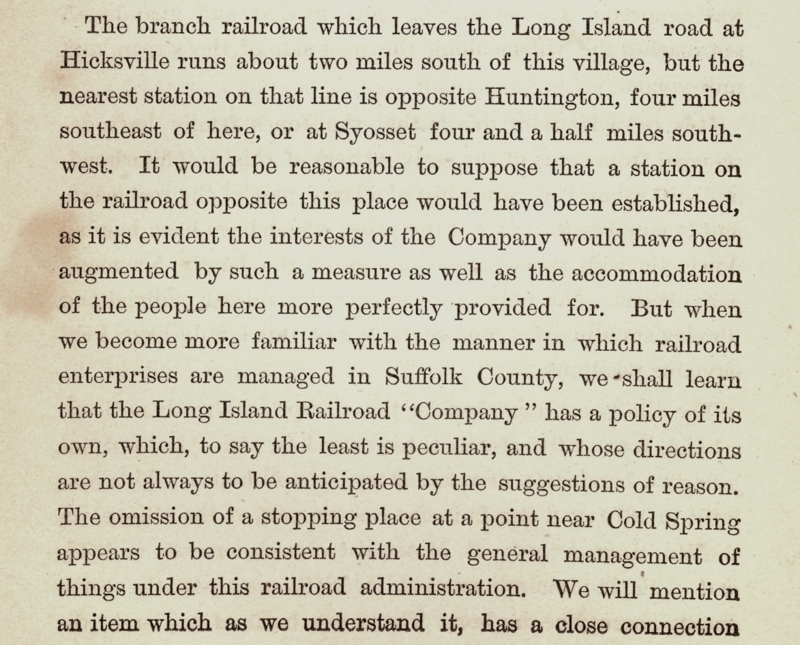 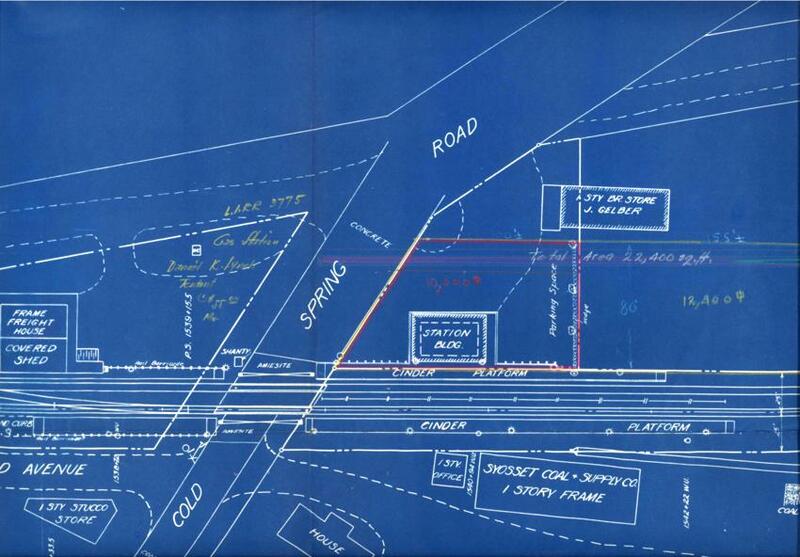 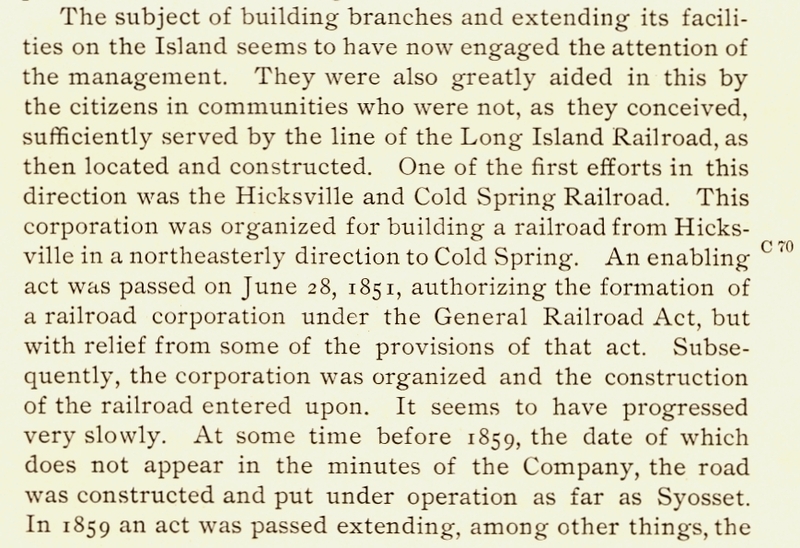 WAS TO BUILD TO "KETCHAM'S" - "NOW KNOWN AS SYOSSIT "
SPRING BRANCH RAILROAD TERMINATING IN COLD SPRING (HARBOR). 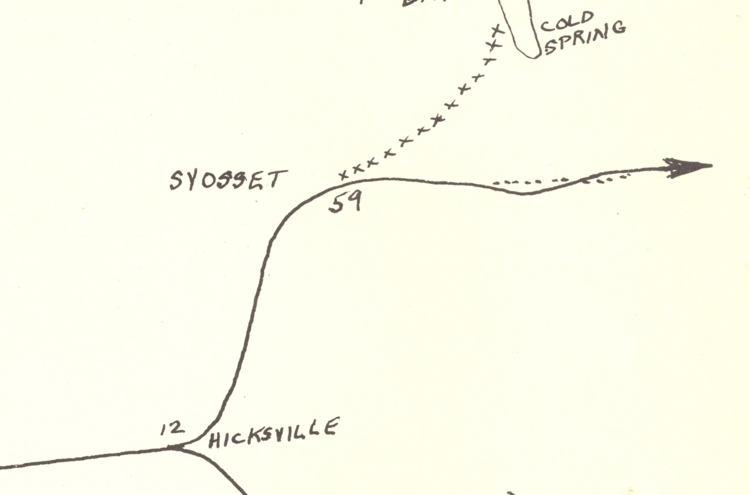 THIS PLAN SHOWS THE JUNCTION OF THE OLD AND NEW RIGHTS OF WAY. 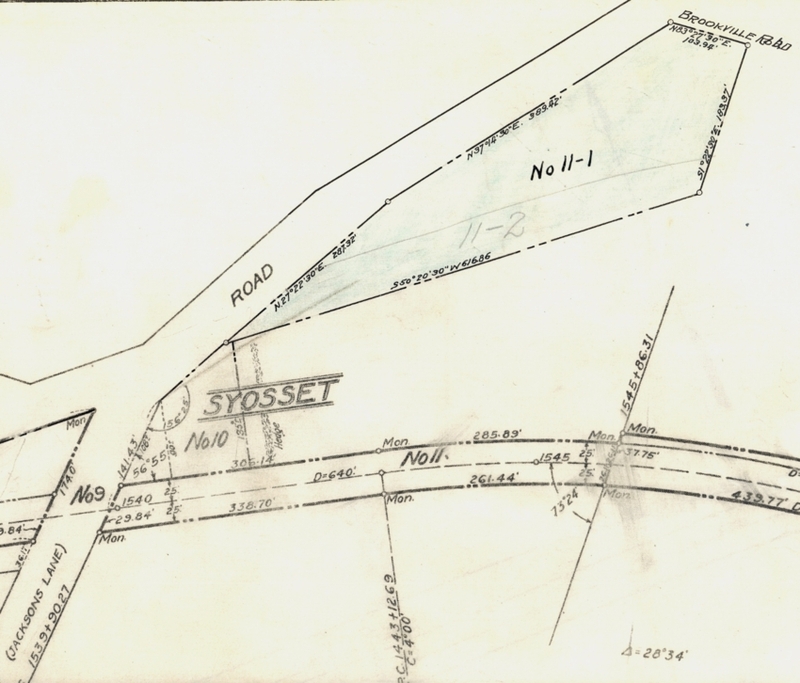 THE OLD ROW IS 49.5 FEET WIDE. 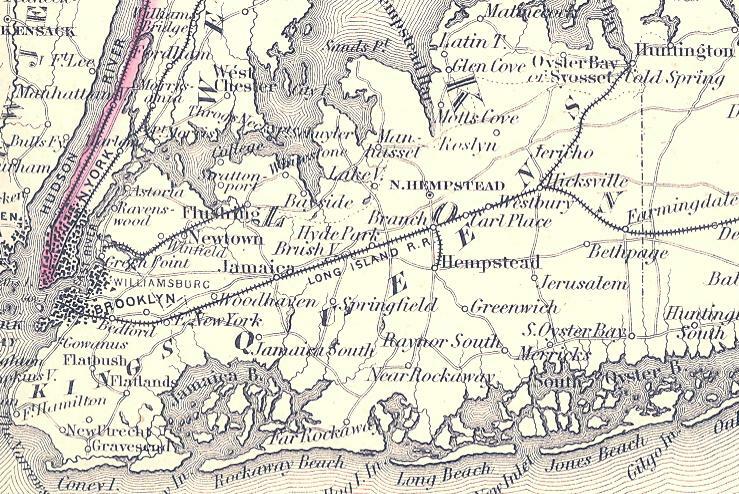 AT THE UPPER RIGHT. 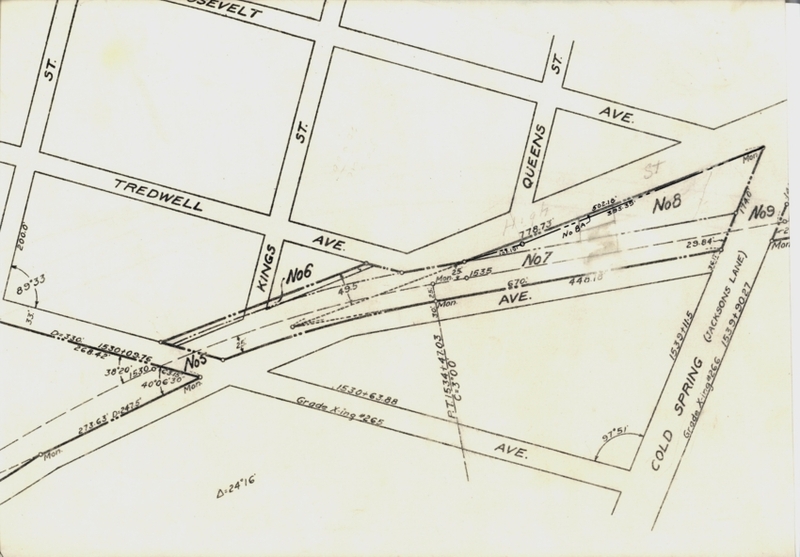 BETWEEN THE SOLID LINES THE WIDTH IS 49.5 FEET.